It is very difficult for an outsider really to comprehend what is happening to the last vestiges of Christendom here in England, when such great efforts are made by the Church of England to sustain the illusion of continuity of influence in public life and even numbers in the pews. Church House employs a statistician to crunch the numbers and a considerable cadre of very senior journalists to keep up the relentless good news in the media. It is difficult for those who actually live in England to comprehend the situation as a result. Still, church authorities have acknowledged that the declining numbers point to the disappearance of the Christian faith from public life, for most practical purposes, by the middle of the present century. Great efforts are being made to address the trajectory of decline, with mission the buzzword on almost every publication and pronouncement. But even as the priorities for spending and deployment are being turned around, much like a supertanker on a great ocean, the statistics make grim reading for almost every denomination, not just the Church of England, which has lost 50% of its Sunday attendance in just 30 years. What has gone wrong? Why, with all the apparent advantages of being the official religion of the State since Anglo-Saxon times, has Christianity suddenly lost its savour in the hearts and minds of English people and institutions? The clue is precisely that Christianity bet the farm on having the full authority of the state for its mission in England. The state is a fickle partner for the Church, even in the most theocratic of ages such as the Tudor era in which the framework for future church-state relations was formed and remains in place, largely unaltered since it was designed by our late King Henry VIII. His reforms resulted in a Constantinian Church rather than a Christian State. When the King espouses the Christian faith and privileges it above all other faiths and ideologies, lavishing the spending power of the state on its churches and universities and cathedrals and seminaries, the influence of the Church at every level of society is unrivalled – and indeed for several centuries after the Reformation it was able to suppress rivals from any quarter, excluding both dissenting Christians and other expressions of faith (or lack of it) from public life until the Nineteenth century. With that said, when the Church relies for its influence on its social and political status, as Newman observed in the first of the Tracts for the Times, it becomes a hostage to secular opinion. And that is precisely what Establishment in the English legal system has meant for the Church of England, and for the other mainstream denominations here who follow in its political slipstream. Owen Chadwick charted very thoroughly the loss of the Church’s power and prestige in The Victorian Church (1970), as Parliament and the Universities were opened up first to non-Anglican members and ultimately to atheism along with many of the key institutions which were formerly the province of the Church. The dramatic decline which we are experiencing now stems from two profoundly significant Acts of Parliament in the Twentieth century, which have combined to create a profoundly secularised society unimaginable even thirty years ago. The first is the 1944 Education Act, by which Church and Parliament agreed to transfer control of the large number of Church of England schools which existed at that time, perhaps one-third of the national total, to the State, in return for what proved to be unenforceable promises about maintaining Christian education and worship. The inevitable downward slope commenced, with each succeeding generation more and more detached from any experience or knowledge of Christendom. A subsequent policy decision within the Church, to secularise all the Church of England’s teacher training institutes, inevitably reduced the number of teachers qualified to teach Christian religious studies, and sharply accelerated the decline. The second is the Human Rights Act of 1998, the beloved brainchild of Prime Minister Tony Blair, at that time a practising Anglican, by which the provisions of the European Convention on Human Rights were incorporated into UK law. Unlike the USA, England does not have a written Constitution, but relies on a common law tradition, augmented by Acts of Parliament, which has evolved since the Anglo-Saxon kingdoms of England were converted one by one and adopted biblical standards as the basis of their legal decision making. Accordingly, the law of England reflected the choices and preferences of its rulers, the Crown and later its Parliament. Christendom was perhaps the pinnacle of all choices and decisions, and was given a privileged place at every level, from Parliament to Parish. The Archbishop of Canterbury remains the most senior member of the (unelected) House of Lords. The Human Rights Act was imposed in such a way that it took priority over the entirety of our legal and political and social history and inheritance, including our place in Christendom. Its outworking over the course of the past twenty years, based on both political and legal appeals to abstract notions of human rights, rather than to the historical identity of English law and politics, has to date effectively excluded the Church of England and other Christian denominations from many of the positions of influence which remained, by requiring equality at every level of public life and administration. 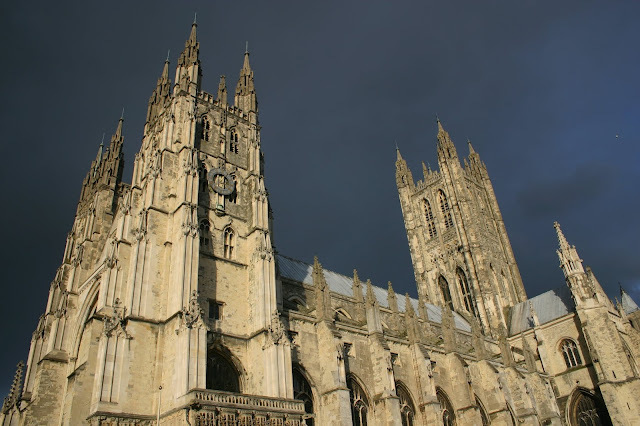 The Churches hitherto almost all depended on the privileged place of the Church of England in the Establishment - it was not only a weakness of the Established Church - and on the provision of Christian education within the national school system. The loss of both has pulled the rug from under the collective feet of Christendom in the UK. The burgeoning cultural Marxism of the media, of many universities and of the Left, and the failure of the Churches to find leaders capable of effective apologetics in the chilling climate of the brave new world, have rendered evangelism perhaps many times harder than it was in the days of St Augustine of Canterbury. The raw materialism of a society several generations away from a world in which concepts such as sin, repentance and eternal life were readily understood, requires a whole new grammar for communicating the gospel which the Church has not yet effectively designed. The speed of change has taken many by complete surprise, including most church leaders and Christians in public life. It is, after all, a world view which is profoundly alien to that in which most were nurtured and have continued to minister. Perhaps the statistics reveal a reality which was there all along, that the number of committed, converted Christians has always been a faithful remnant, augmented by the presence of a cultural Christianity which has all but disappeared, except for the elegant Tudor façade imposed by Henry Tudor, in which the surviving Establishment of the Church remains imprisoned in a Ruritanian cage of delusion about its status and influence in what has already become a profoundly secular state. Fr. Stephen Trott is Rector of Pitsford with Boughton and Rural Dean of Brixworth in the Diocese of Peterborough. He has been a member of General Synod since 1995 and a Church Commissioner since 1997.